Big weddings costing up to $10,000 have become more common as young people feel safe enough to plan for the future. Some 300 guests celebrated for two days when bride Heelan Muhammad, 23, married Husham Raad, 30, last October. They are saving for a house. 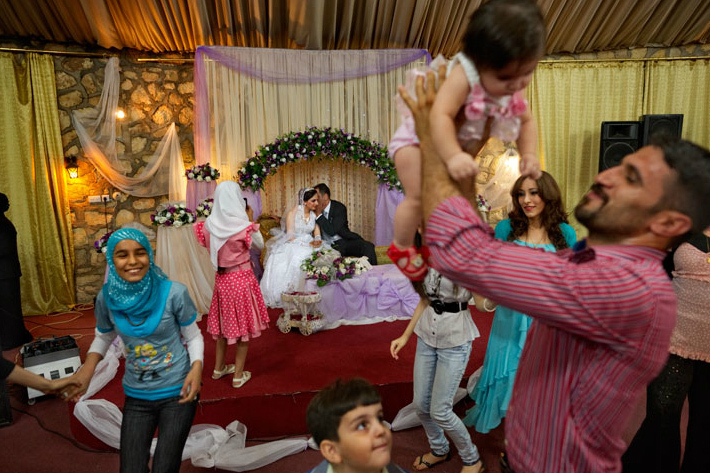 Daily life isn't always easy, says 24-year-old Raad Ezat-Khalil (with baby), the groom's cousin and matchmaker, but "the most important thing is how strong and determined people are."